Dynamic Contour Tonometry (DCT) is touted to be the most accurate tonometer for Intraocular Pressure (IOP) measurement. Non-Contact “air puff” Tonometry (NCT) may be the most commonly used tonometer for screening of IOP. Elevated IOP is important to exclude in patients presenting with headache or vision loss. To determine the agreement between DCT and NCT. 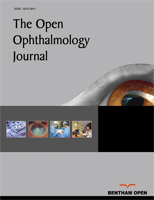 The IOP of adult patients 50 years of age or older presenting with headache or vision loss for possible temporal artery biopsy were prospectively recorded. NCT and DCT measurements were obtained within thirty minutes. The right eye IOP measurements were compared with paired t-test, and Bland- Altman plot analysis. The left eye IOP measurements were subsequently analyzed for confirmation of results. There were 106 subjects with complete right eye data, and 104 subjects with complete left eye data. The average age was 72 years, and 70% were female. The NCT IOP was on average 3.9 mm Hg lower in the right eye, and 3.5 mm Hg lower in the left eye compared with DCT. (p<.001) In the right eye the Bland-Altman analysis showed the 95% agreement interval between the two tonometers was -2.5 to 10.4 mmHg and in the left eye -3.0 to 9.9 mmHg. The IOP from NCT and DCT should not be used interchangeably because their level of disagreement includes clinically important discrepancies of up to 10 mm Hg. Keywords: Dynamic contour tonometry, Non-contact tonometry, Intraocular pressure, Agreement, Bland-Altman plot, Headache, Giant cell arteritis. © 2018 Ing et al.